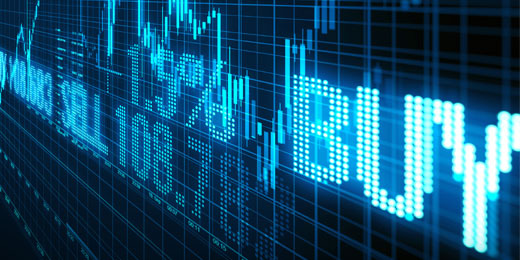 Last week global equities rallied on revived risk appetite, solid corporate earnings releases and rising oil prices (which boosted energy stocks). Wall Street rose six days in a row, thanks also to lower inflation figures, but Asian bourses were the major beneficiaries of the rally. Emerging markets had positive performances, including most regional markets with the exception of Oman and KSA. In currency markets the dollar continued its advance on major crosses while emerging country currencies were on the back foot. Oil prices recorded another weekly jump to levels last seen at end 2014, sustained by perky demand and the withdrawal of the US form the Iran nuclear deal which implies the imposition of sanctions. Gold prices after showing little reaction to geopolitical tensions for weeks finally showed some sign of life. US inflation in Apr rose 0.2% mom (2.5% yoy) vs -0.1% (2.4% yoy) in Mar. Most of the action was in non-core components. Core inflation was 0.1% mom (2.1% yoy) following a 0.2% mom (2.1% yoy) gain in Mar (and Feb). The University of Michigan Consumer sentiment index held up at the high level of 98.8 in May, as a drop in current conditions offset the gain in year-ahead business expectations. Consumers were less bullish over their financial outlook and 12-month inflation expectations months increased 0.1% to 2.8%. The US wholesale inventories grew by a modest 0.3% mom in Mar after a 0.9% surge in Feb. Durable goods inventories advanced 0.8% mom, while nondurable goods inventories declined -0.4% mom. US initial claims for unemployment benefits were unchanged at 211,000. The 4-week moving average fell 5,500 to 216,000, the lowest level since Dec 1969. Continuing claims rose 30,000 to 1.79 mn. Brazil’s inflation ticked up to 2.76% yoy in April. German industrial orders fell unexpectedly by -0.9% mom in Mar, aggravating a -0.2% decline in Feb and marking the third straight negative monthly performance in manufacturing orders, mainly due to a -2.6% mom fall in foreign demand. New orders from the Eurozone contracted by -3% mom and those from extra Eurozone countries declined by -2.5% . Domestic orders increased by 1.5%. German Industrial production advanced 1% mom in Mar offsetting partially the -1.7% drop in Feb, thanks to a brilliant performance of capital goods, while production of intermediate goods contracted. The German trade surplus at EUR 25.2bn in Mar, was almost similar to EUR 25.1bn a year earlier, as exports fell -1.8% yoy, while imports fell more by -2.3%. The Bank of England kept its rates unchanged at 0.5% and confirmed its QE program. Sluggish GDP growth in Q1 led to a reduction in forecast for 2018 from 1.8% to 1.4% yoy. Nevertheless, the MPC’s hikes are just postponed to the summer if the slowdown proves to be temporary and wage growth pushes inflation up. UK industrial production gained 0.1% mom (2.9% yoy) in Mar, the same pace as in Feb (2.1% yoy). Again the performance was led by a 2.6% mom surge in energy production, while manufacturing declined -0.1% mom (2.9% yoy), vs -0.2% (2.5% yoy) in Feb, due to widespread weakness in key sectors. The UK’s trade deficit widened to GBP 3.1bn in Mar from GBP 1.2bn in Feb. It was the largest trade deficit since last June, as imports rose 5.8% yoy to a record high of GBP 56.0bn. China’s inflation retrenched to 1.8% yoy (-0.2% mom) in Apr from 2.1% in Mar, thanks to lower food inflation. Core inflation was also subdued as overcapacity caps price dynamics. China’s M2 money supply grew 8.2% yoy in Mar, vs 8.8% in Feb, as a result of the continuous authorities’ effort to curb credit growth by overexposed debtors, while keeping normal bank lending to sustain the healthy parts of the economy. China’s trade balance reverted to a surplus of USD 28.8bn in Apr, after a USD 5bn deficit in Mar. Both exports and imports showed improvement, highlighting that the effects of the trade dispute with the US have not materialized yet. The Bank of Japan, as expected, left its key rate unchanged at -0.1% and its 10-year government bond yield target around zero. However the central bank gave up on a precise deadline to achieve the 2% inflation target. Japan’s current account surplus widened to JPY 3.12tn in Mar from JPY 2.98tn a year ago. The goods surplus widened to JPY 11.9tn from JPY 8.66tn a year earlier with exports growing 3.7% yoy and imports falling -0.9%. The leading economic index in Japan retreated slightly to 105 in Mar from 105.9 in Feb.
Indonesian GDP expanded by 5.1% yoy in Q1, just a decimal below its pace in Q4. Both exports and government spending growth decelerated while consumption growth was almost unchanged. Investment on the contrary accelerated. India’s industrial production grew 4.4% yoy in Mar vs 7% in Feb, the smallest increase since last October, due to a drastic slowdown in manufacturing, 4.4% yoy vs 8.5% in Feb.
Inflation in Taiwan accelerated to 2% yoy (0.6% mom) in Apr from 1.6% in Mar. Much of the increase was due to a hefty tax on cigarettes and a jump in fuel and vegetables’ prices. Bottom line: The normalization of interest rates remains the dominant theme in financial markets, where high leverage has made several weak spots increasingly vulnerable to a reversal in expectations. The first victim has been Argentina, headed to reviving the venerable Latin American tradition of triggering a global crisis as in the early 1980s and in 1994. Nobody can reasonably predict how the unwinding of the unprecedented monetary stimulus will affect financial markets. The Fed has been able to minimise the disruption by devising a very gradual withdrawal, but where the dust will settle, i.e. what the “new normal” will look like is anybody’s guess. In order to make rational long term investment decisions one needs to predict the “trend” growth rate and the equilibrium real rate of interest, as well as the drivers of cyclical fluctuations. But at present the global economy is embroiled in an uncertain journey (smooth, bumpy, disastrous?) to an unknown destination and financial markets fragility will be tested sooner or later by some unintended consequence of the normalization process. Bahrain showcased both investment-ready projects and those in the planning phase – worth over USD 26bn – at the Gateway Gulf event last week. Bahrain launched a USD 1bn energy fund: the fund – which will invest in a range of energy projects across the downstream, midstream and upstream sectors – will receive its initial capital from local firms including Nogaholding (the investment arm of Bahrain’s National Oil and Gas Authority) as well as investment banks Osool and SICO. Bahrain voted against a proposal to tax expat remittances, after it was deemed unconstitutional by the jurisdiction’s financial and economic affairs committee. A draft law to double car registration fees for expats was also turned down. Inflation in Egypt marginally declined to 13.1% in Apr (Mar: 13.3%); core inflation meanwhile posted an increase for the first time in 8 months, rising to 11.62% (Mar: 11.59%). The central bank meets on May 17 to set rates. Iraq went to the polls on Sat (May 12) in the first parliamentary election since the country declared victory over ISIS. Results for the 329 seats at stake (with nearly 7000 candidates) are expected within 48 hours: turnout was low at 44.52%. Kuwait’s current account posted a surplus KWD 2.2bn (USD 7.1bn) in 2017, compared to a deficit of KWD 1.5bn (USD 5.0bn) the year before. The recovery was thanks to a substantial rise in oil receipts, supported by a pick-up in investment income and a decline in expat remittances. Remittances from expatriates in Kuwait declined by 9.2% yoy to KWD 4.14bn in 2017, according to the central bank. The use of renewable energy services in Kuwait could save up to USD 750mn in costs until 2030, disclosed the minister of oil, electricity and water. Lebanon’s dollar-denominated bonds fell to multi-month lows after Trump pulled out of the Iran deal: the USD 1bn bond maturing in 2022 tumbled to 90.66 cents (the steepest loss) – its lowest level since Nov 2017. The Byblos Bank/AUB Consumer Confidence Index for Lebanon averaged 60.8 in Q1 this year, up by 4% yoy, but declining by 1.6% qoq. The implementation of the tax increases on consumption, income and profits hurt consumer sentiment. Lebanon’s central bank will sell USD 2bn of Eurobonds over the coming year, as part of a USD 5.5-6bn debt swap with Government aimed at boosting central bank reserves and reducing its debt-servicing costs. Lebanon’s election results saw the Hezbollah group and allied factions winning more than half the seats in parliament, while the PM’s Future Party lost more than a third of its seats (winning only 20). However, PM Hariri is still the frontrunner to form the next government, as the Sunni Muslim leader with the biggest bloc in parliament. Qatar Petroleum will list 49% of its shares in Qatalum on Qatar Exchange later this year. The company – a 50:50 joint venture between Qatar Petroleum and Norsk Hydro – produces about 645k tons per year of high quality aluminum, and its facilities include a carbon plant, port and storage facilities and as well as a gas-fired power plant. Saudi Arabia’s budget deficit clocked in at SAR 34.3bn (USD 9.15bn) in Q1 this year: this accounts for 17.6% of the total SAR 195bn deficit projected for the year. Revenues were up 15% yoy to SAR 166.3bn(USD 44.28bn), with non-oil revenues up a whopping 63% to SAR 52.3bn, thanks to both VAT and expat fees. Spending grew by 18% to SAR 200.6bn. At least three commercial banks in Saudi Arabia are preparing US dollar debt issues, reported Reuters, in a bid to diversify their sources of finance and boost capital levels. Inflation in Saudi Arabia increased by 2.9% yoy and 3.9% qoq in Q1 this year, according to a recent central bank report. A rise in consumer demand is expected during this month and next, thanks to the start of Ramadan (the Muslim holy month) later this week, and ending with the Eid al-Fitr next month. Saudi Arabia’s Shura Council approved gender pay gap recommendation, with implementation tasked to the Ministry of Labour and Social Development. The gender pay gap increased from SAR 324 in 2014 to SAR 1077 in 2016, as per data from the King Khalid Foundation. Inflation is expected to average 3.5% this year, compared to 2.0% last year, according to the head of IMF’s mission to the UAE. Commenting on VAT, she stated that its impact on inflation would be short-lived, especially as prices had declined in some areas not covered by VAT (especially residential rents). Dubai’s non-oil private sector growth slowed in Apr, with the index reading at 53.9 in Apr (Mar: 55.3). Travel & tourism remained the strongest performer sector-wise (55.3), followed by construction (54.9) and wholesale & retail (53.5). UAE’s President announced the payment of 1-month salary bonus to all government employees, civilians and military on the occasion of the Sheikh Zayed centennial anniversary. A total of AED 1.6mn (USD 435mn) will be disbursed before Eid. Abu Dhabi’s trade with Saudi Arabia increased by 3.7% yoy to AED 1.4bn (USD 381mn) in Jan this year. This amounts to 11.3% of the emirate’s total global trade. Imports from Saudi Arabia into the emirate amounted to AED 950mn in Jan, versus AED 888mn a year ago. Dubai Holding announced plans to invest up to AED 1bn (USD 272mn) over the next five-years to launch a digital bank in the UAE. The proposed bank – which will serve the SME and mid-size corporate segment in addition to individual customers – will launch its products next year. Foreign investment stocks (which includes FDI, other foreign investments and portfolio investments) in Dubai reached AED 505bn (USD 137bn) in 2016, up 25.3% yoy, according to the Dubai Statistics Centre. The Sharjah Airport Authority signed AED 100mn (USD 27.2mn) worth expansion contracts. The airport expansion project, with an estimated cost of AED 1.5bn, consists of several phases, including constructing new building and a terminal for arrivals. What are the consequences of the US withdrawal from the Iranian deal?